"A worshiping and serving community proclaiming the Good News of Jesus Christ." 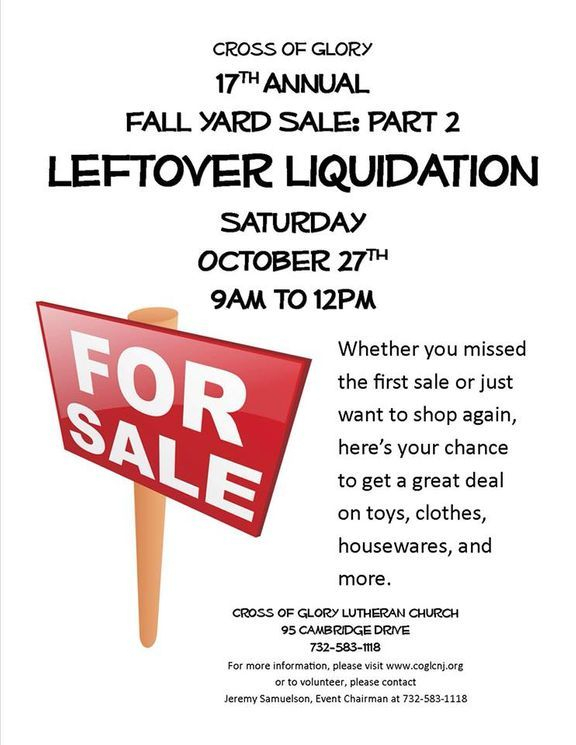 Cross of Glory Lutheran Church invites you to come check out the bargains and liquidation prices at our 17th Annual Fall Yard Sale: Part 2 - Leftover Liquidation on Saturday, October 27, 2018 from 9:00 AM to 12:00 PM in the Church Parking Lot and Fellowship Hall. Whether you missed the first sale or just want to shop again, here's your chance to get a great deal on toys, clothes, housewares, and more. 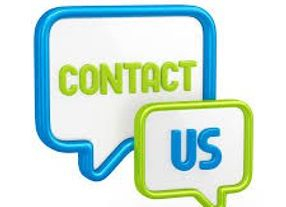 You'll find us at 95 Cambridge Drive in Aberdeen. It's Part 2 of our fall classic you won't want to miss. Thank you and we hope to see you there! Join us on Sunday with two opportunities to worship. 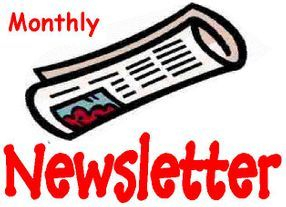 Check out our Monthly E-Newsletter. Just click on the link below to read Pastor's Message, Upcoming Events, plus other Notes & News happening this month. 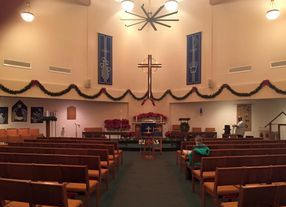 ©2019 Cross of Glory Lutheran Church of Aberdeen, New Jersey.